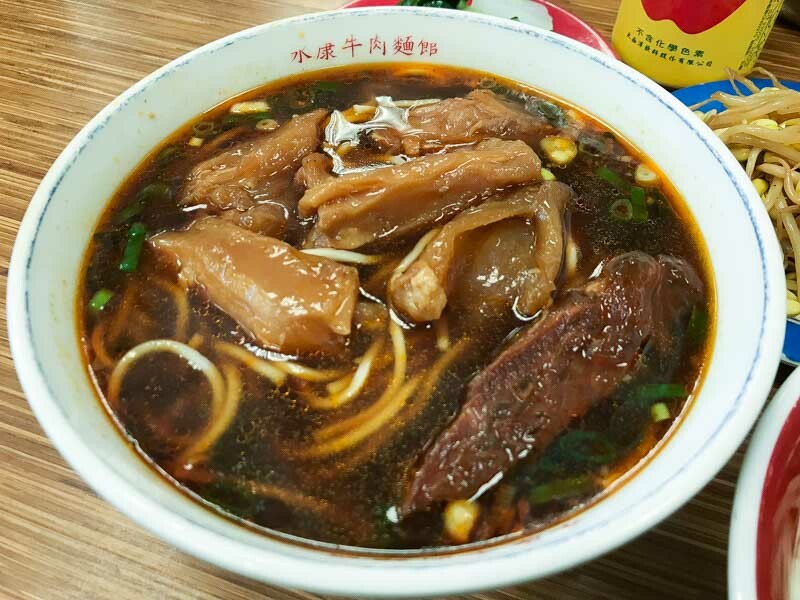 A visit to Taipei isn’t complete without a bowl of beef noodle soup. 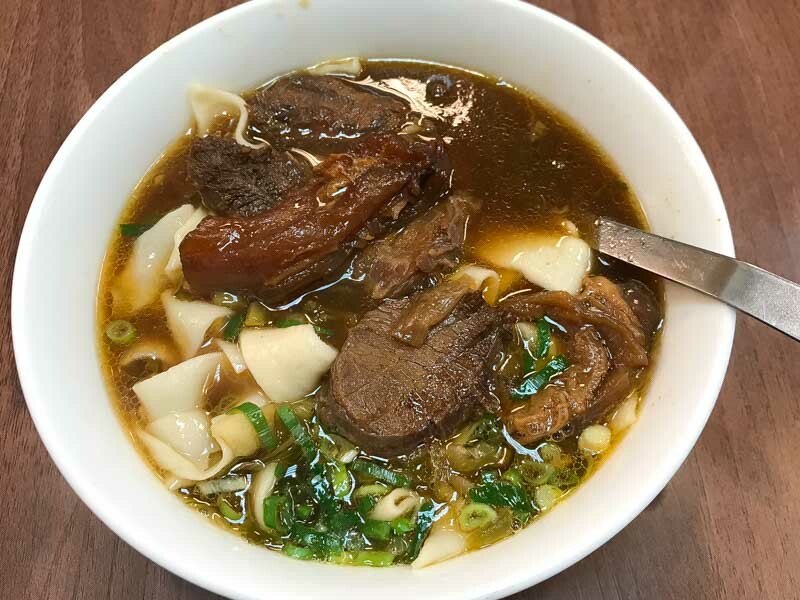 Braised beef stewed in a steamy, savoury broth and served with handmade noodles – we can’t think of a better meal! 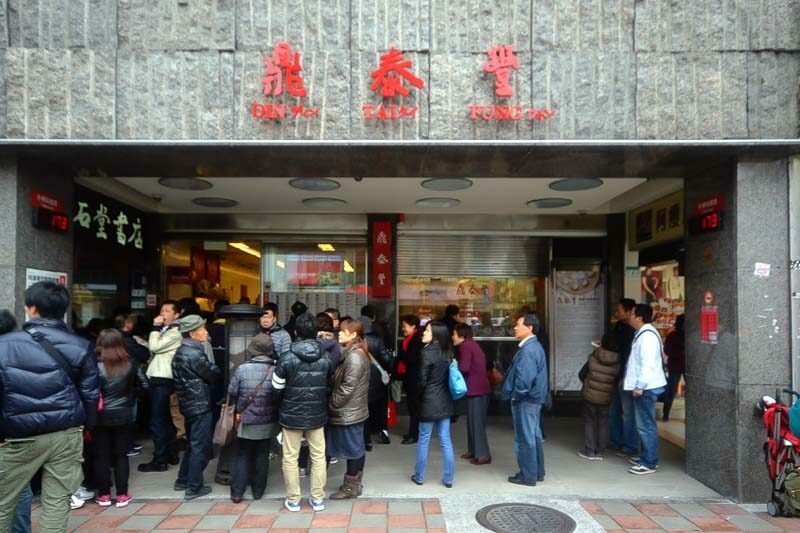 But with so many restaurants serving Taiwan’s “national dish”, how does one choose? We scoured the streets of Taipei, in search of the country’s best. 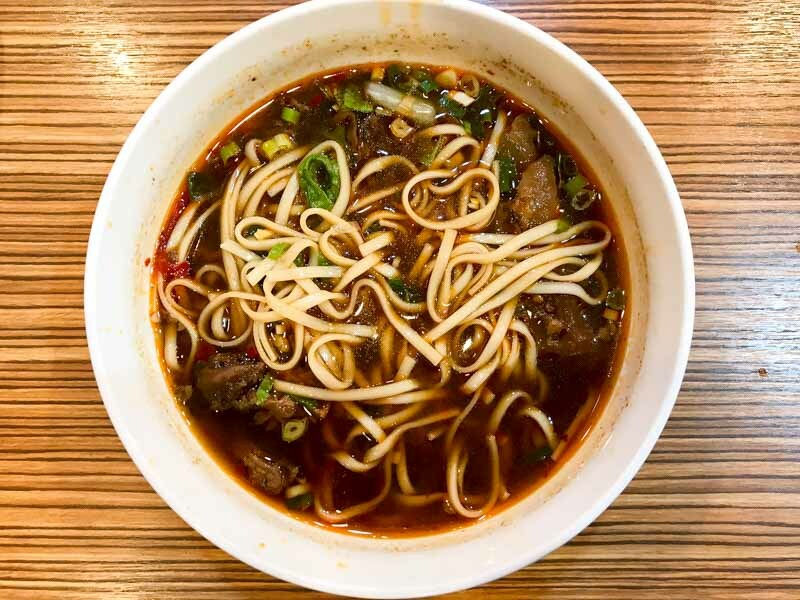 Here is a list of seven restaurants serving beef noodle soup to try, ranging from award-winning favourites to food court stalls, to help you find that perfect bowl. 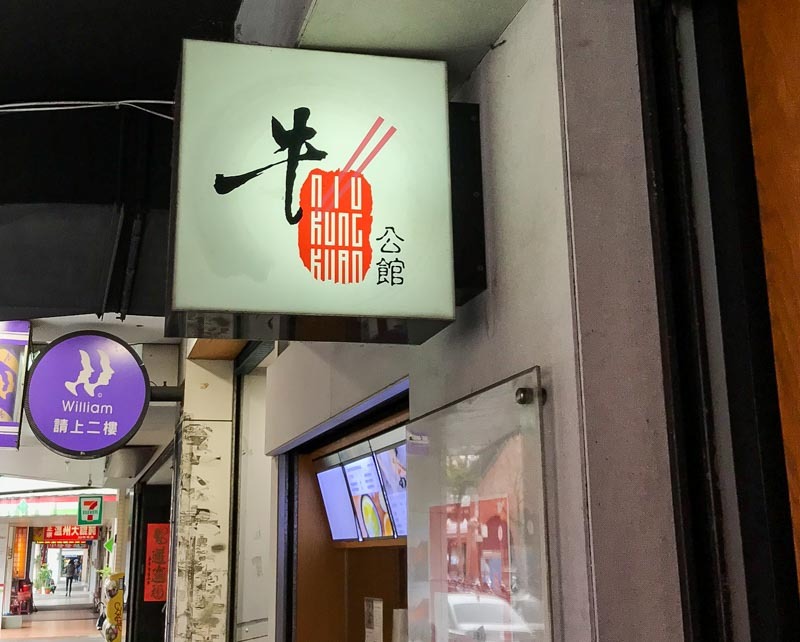 Located in the bustling Ximen district, this hip joint with minimalist decor is a local favourite, so be prepared to wait in line, or get it to go from the counter just next to the front door. A photo menu is provided for easy ordering, and a wide variety of side dishes are available (like most places, on a self-serve basis). 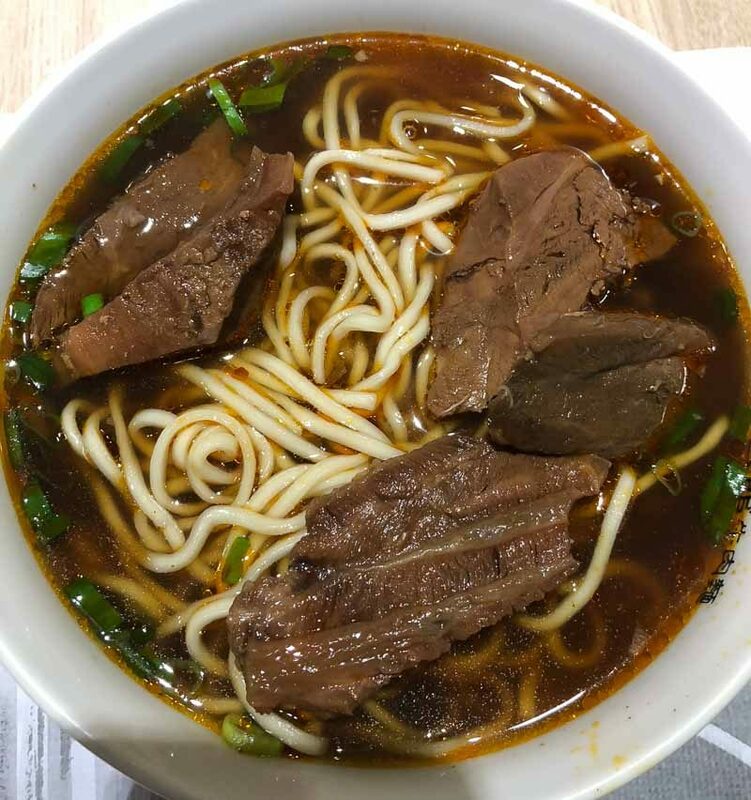 Our bowl of beef noodle soup (NT200, approx. SGD$9) was close to perfection, with the beef having just the right amount of tenderness, and a soup that was rich and flavourful. 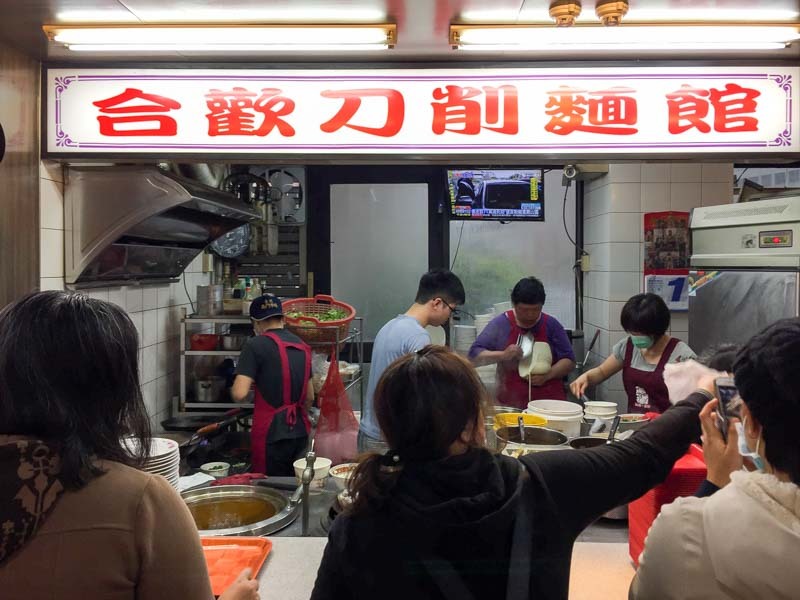 If you head to this stall that’s located in the Nanmen Market food court during the busy weekday lunch hour, bide your time in line by watching the stall keeper shave the knife-cut noodles off of the giant log – it really is mesmerising. 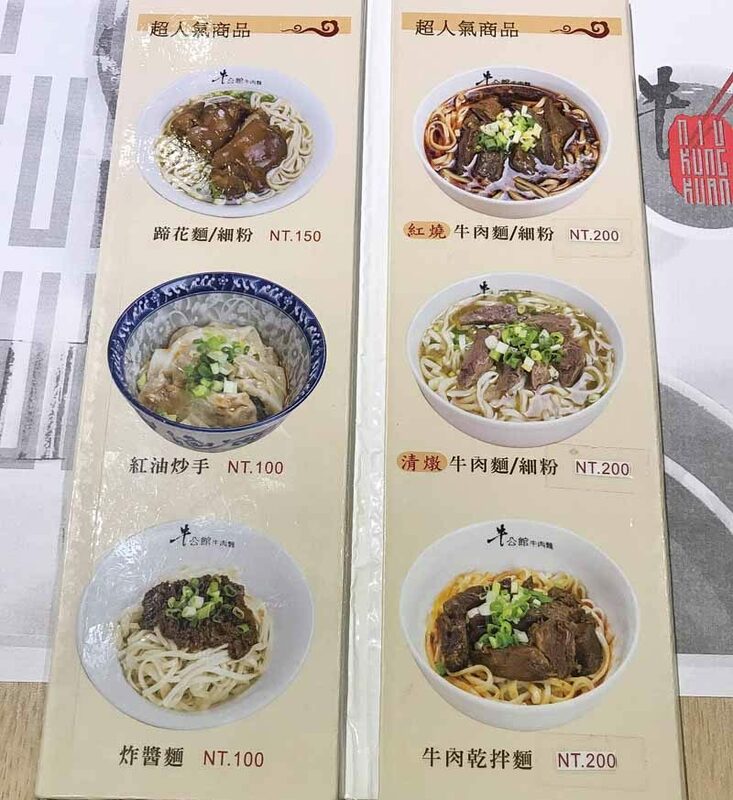 Ordering is done on a one-by-one basis so consult the (Chinese-only) signboard menu beforehand and be ready to place yours when it’s your turn. Our bowl was served with a hearty portion of vegetables and a soup that was lighter than most, making it a healthy and delicious choice. This bowl of beef noodle soup will only set you back NT110 (approx. SGD$5). 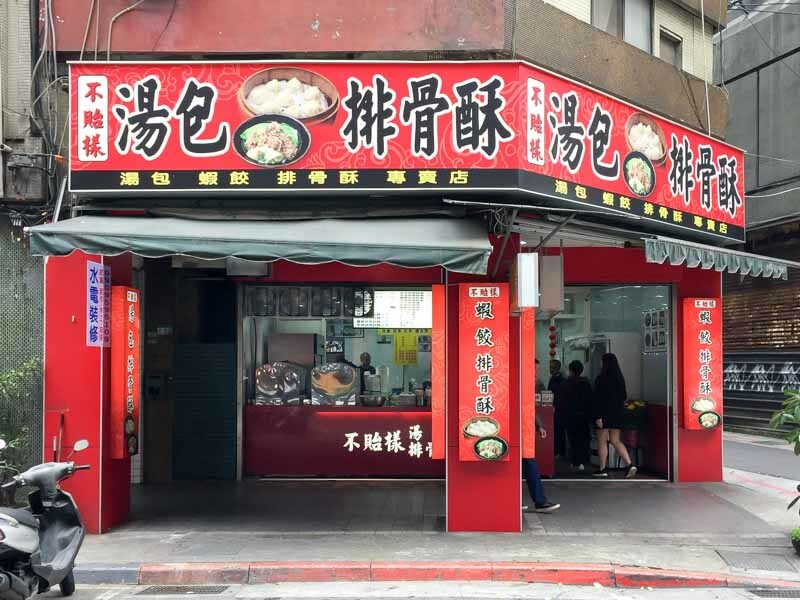 He Huan Dao Xiao Mian Guan 合歡刀削麵: Nanmen Market, No. 8, Section 1, Roosevelt Rd, Zhongzheng District, Taipei City, Taiwan 100, Stall No. 206. According to this restaurant’s signage, it’s been in business since 1949. 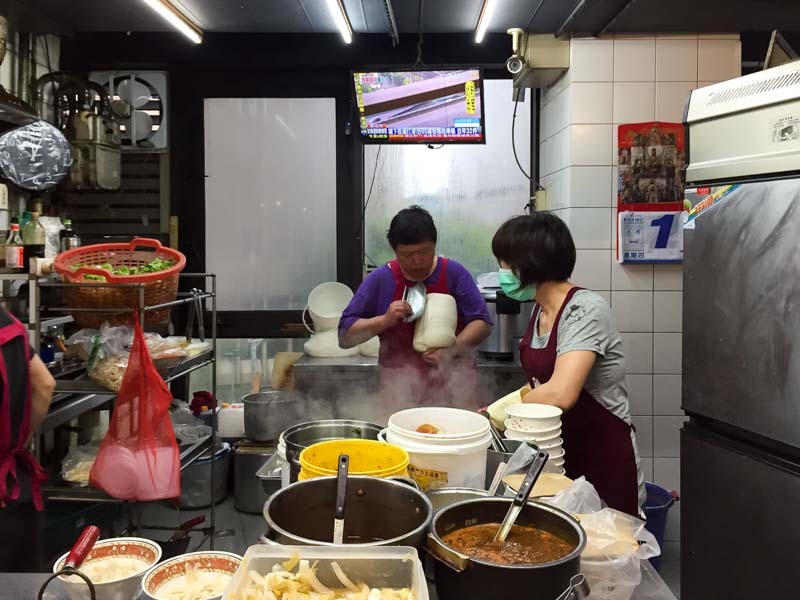 Located in the Wan Nian Building in Ximen, this basement joint’s Jia Chang Mian 家常麵 (NT180, approx. 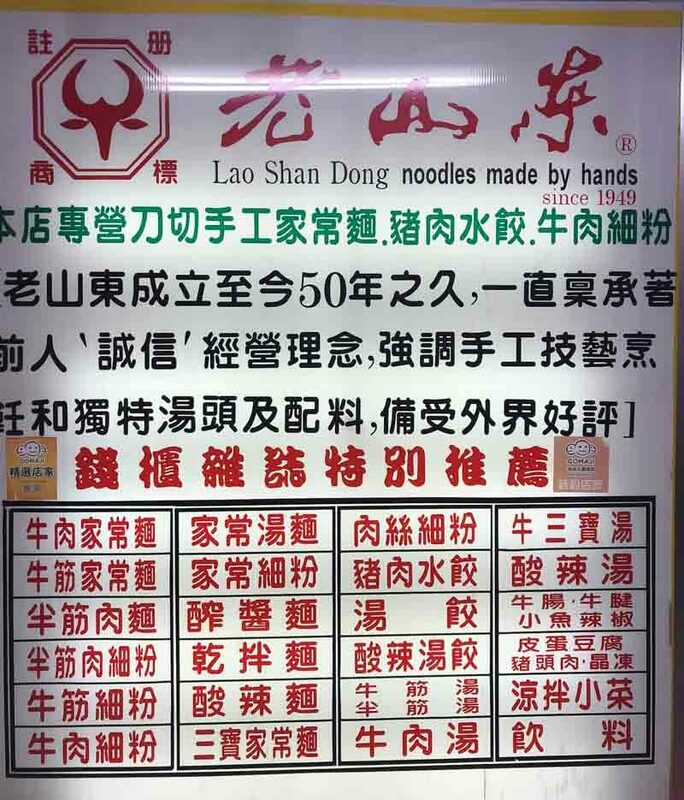 SGD$8) – hand-made, wide noodles – was one of our favourites. 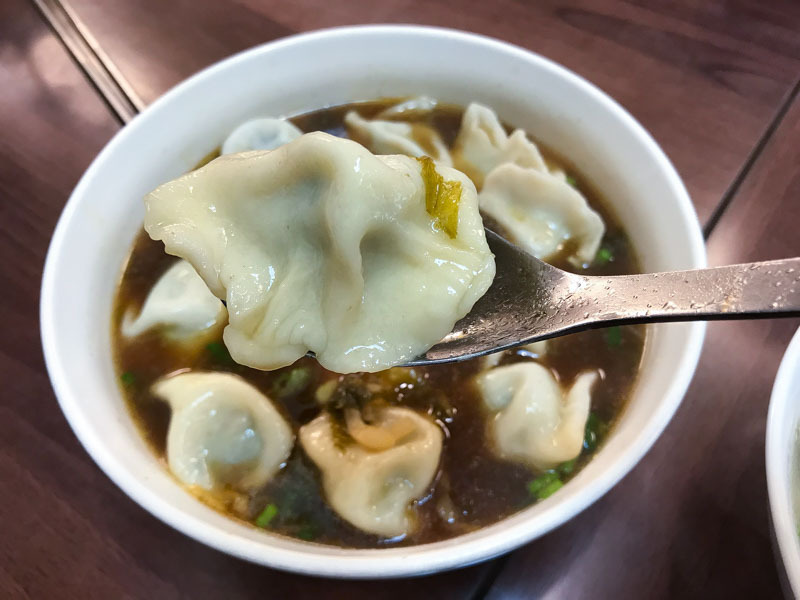 The beef dumpling soup was also tasty, and the dumplings were much larger than we expected. Take note that ordering is from a chit with only Chinese characters; no photo menus here. 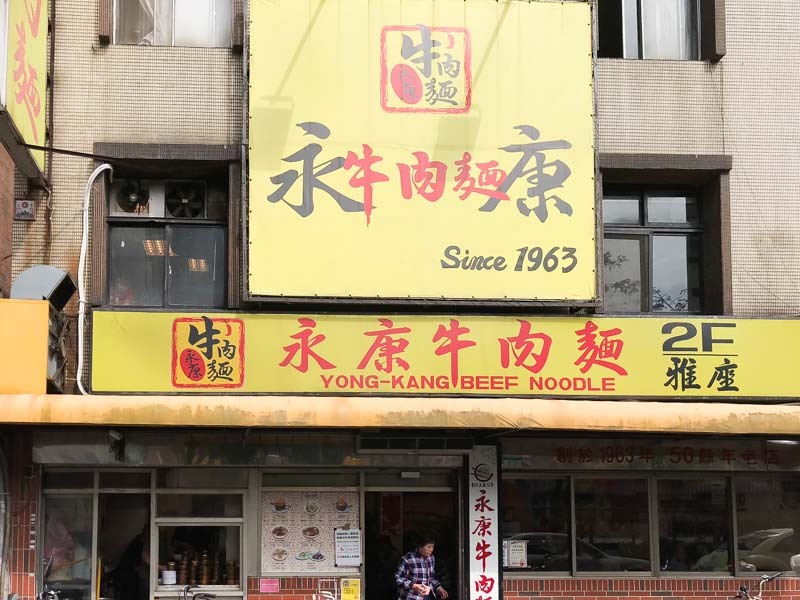 There’s a reason why this restaurant makes it onto every travel guide, and it’s not due to friendly service or a chic interior: the beef noodle soup is simply divine. Look past the swarms of tourists and ignore the fact that you may have to eat knees-to-knees with a stranger; just go try a bowl. You’ll pay a premium, though; at NT240 (approx. SGD$11), it’s the priciest one on this list. 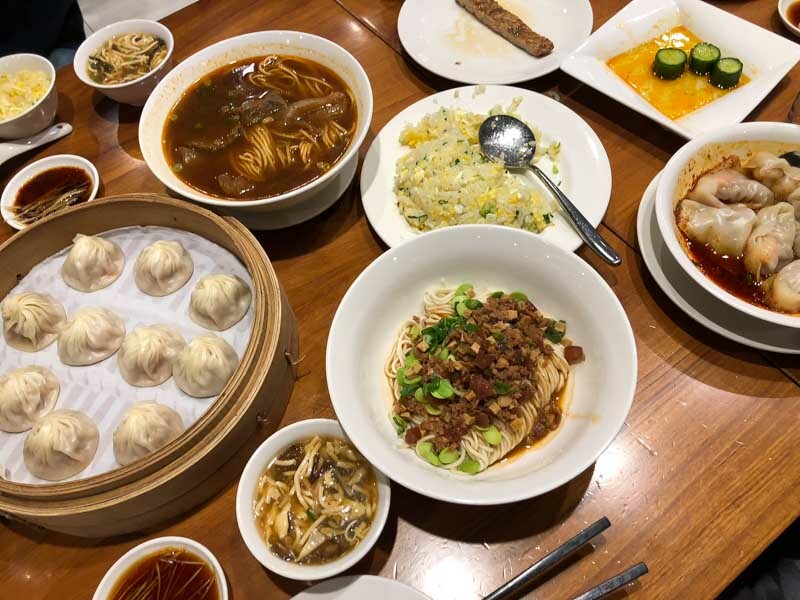 You might be tempted to skip visiting Din Tai Fung in Taipei; after all, you go all the time in Singapore, right? 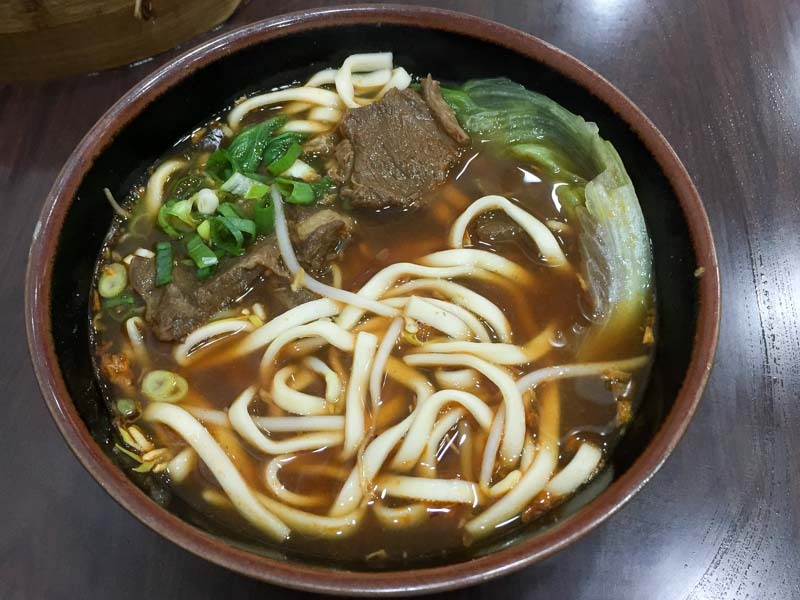 But the flavour of the Braised Beef Noodle Soup (NT200, approx. SGD$9) in the Taiwan outlets is distinctly different – saltier and richer, and definitely worth a visit, assuming you go at an off-peak hour. Stop by the Xinyi store for a photo op at the original location that started the empire and make sure to order all your DTF favourites while you’re at it! Like Din Tai Fung, this is another Taiwanese chain restaurant serving, among other things, xiao long bao and beef noodle soup. The red signage is easy to spot and it’s a solid choice that’s also very easy on the wallet. A bowl of beef noodle soup costs only NT100 (approx. SGD$4.50); pair it with eight soup dumplings for NT60 (approx. SGD$2.70) and you’ve got yourself a great, cheap meal. 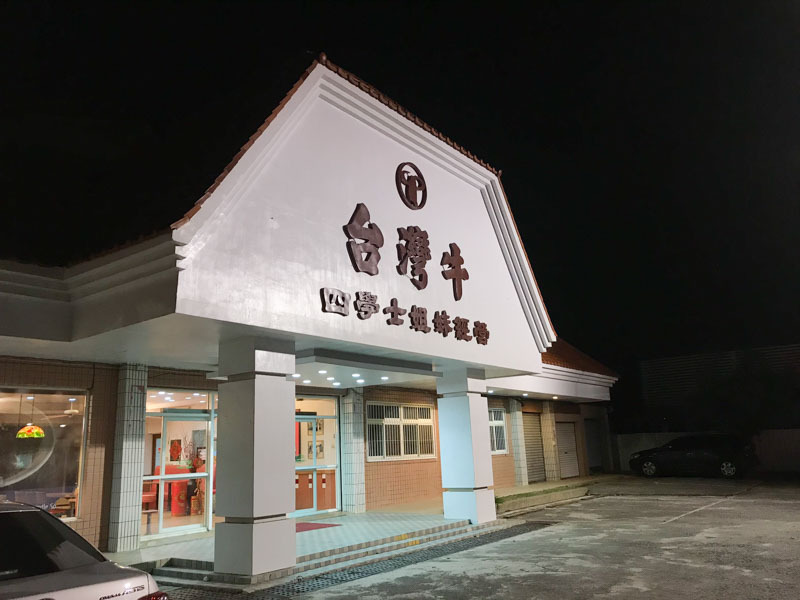 Okay, so this restaurant is not exactly in Taipei, but if you’re heading to Kenting, you can’t miss it off the main route just at the junction towards the National Museum of Marine Biology & Aquarium. With a huge parking lot and cafeteria-style ordering (with photos) to handle large crowds, this is worth the detour. It’s NT168 (approx. SGD$7.60) for a bowl of traditional beef noodle soup. 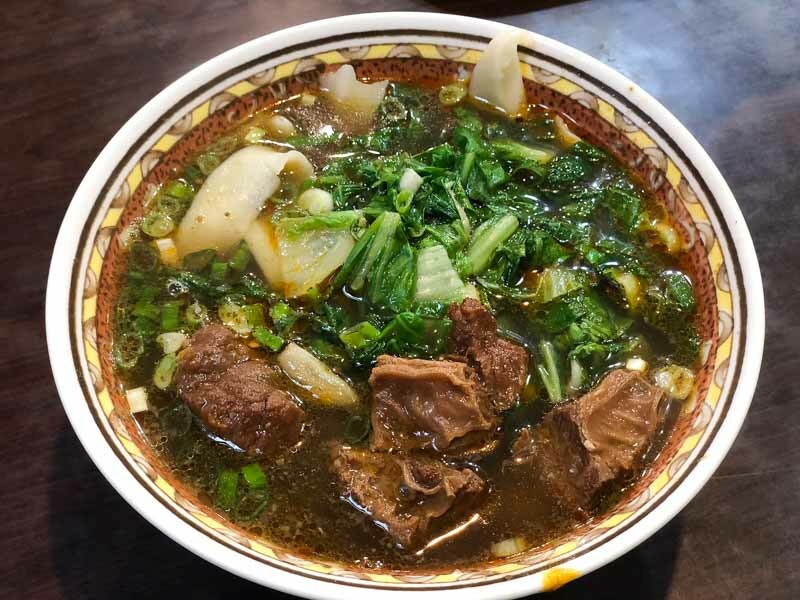 The beef noodle soup is made for the masses so it’s not quite up to the standard of some of the others on this list, but the restaurant’s free WiFi and newly-renovated restrooms make it a good pit stop before you hit the main tourist area. *This article was contributed by Stephanie Suga Chen who is a Taiwanese-American living in Singapore, and the author of Travails of a Trailing Spouse, the recent bestselling novel published by Straits Times Press, available at all major bookstores in Singapore and at stpressbooks.com.sg.